Product prices and availability are accurate as of 2019-04-21 13:58:33 UTC and are subject to change. Any price and availability information displayed on http://www.amazon.com/ at the time of purchase will apply to the purchase of this product. 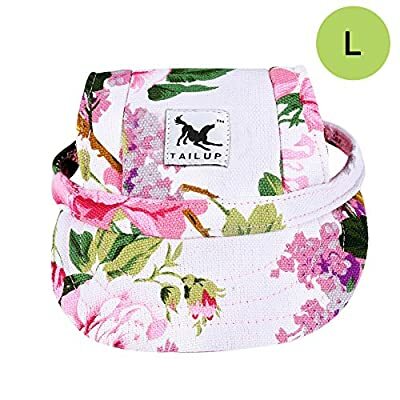 The Dog Hat / Visor Cap with Ear Holes for Dogs are a wonderful, and extremely useful, accessory for your dog to protect them from the sun, especially, if they have skin cancer. Please check the sizing guide to make sure you get the right fit! Original and comfortable Cute fashion dog hat for your dog. Cade dog cap, elastic chin strap. Visor cap can effectively protect dog's eyes from sun rays and add a stylish appearance to your dogs. Attractive designs follow the latest fashions, letting your dog more attractive. Ear distance:6.7''/17cm; Ear diameter:2.2''/5.5cm; Head girth:15.0''/38cm; Head diameter:7.0''/18cm Adjustable non-elastic Strap: Neck girth?Max?:13.7''/35cm. With two holes at the top, breathable and comfortable. Material: Canvas (100% cotton).